The BPCO collaborates with Philadelphia's most prominent education and cultural institutions to integrate classical music with the issues and events that shape today's society. Recent partners have included The Philadelphia Orchestra, Art Sanctuary, and The Free Library of Philadelphia. For the 2013-2014 season, the BPCO has established additional partnerships with the following institutions to create innovative connections between literature, dance, theater, technology and the visual arts. 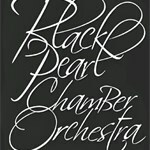 Become a fan of Black Pearl Chamber Orchestra to hear about new music, videos, event info & special offers.